This Mirage Pastry Set comes with a cake slice and six pastry forks. It is made from 18/10 stainless steel, reassuring good quality. This pastry set comes with a 25 year guarantee and is 100% dishwasher safe. 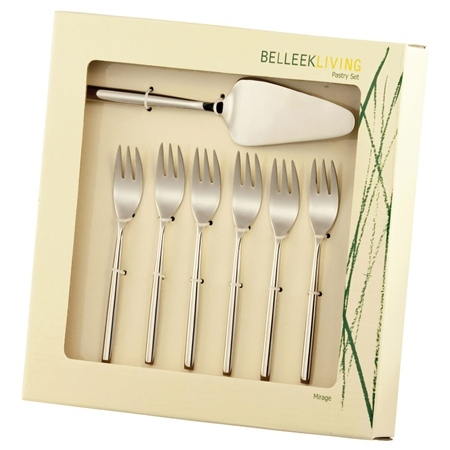 This item is being discontinued by Belleek, hence the low price. It is expected to sell out, so get yours before it is too late.